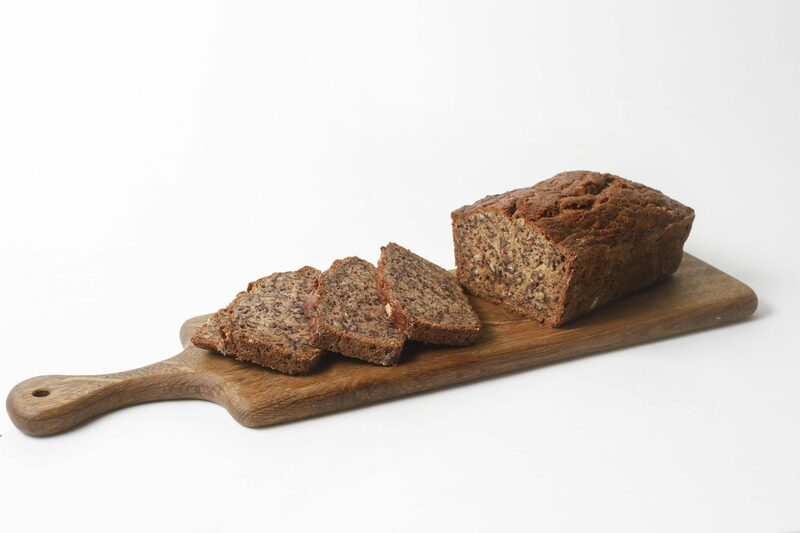 MAKES 1 (10 BY 5-INCH) LOAF Beyond its delish flavor and moist texture, the best thing about this recipe by GFF Magazine editor Erika Lenkert is it seems to turn out well with a variety of gluten-free flour mixes. Store leftovers wrapped in plastic wrap in the fridge and snack on them over a few days or slice, freeze, and wrap individual pieces for grab-and-go goodness. Preheat the oven to 350°F. Grease a 10 by 5-inch loaf pan and dust the pan with gluten-free flour. In a bowl, mix the sugar and butter together. Add the eggs and whisk until well combined. Mix in the bananas, baking soda, cinnamon, salt, and vanilla. Stir in the flour mix. Fold in the pecans. Transfer to the prepared loaf pan and bake until a toothpick inserted into the center comes out clean, about 60 minutes. Cool completely before serving.